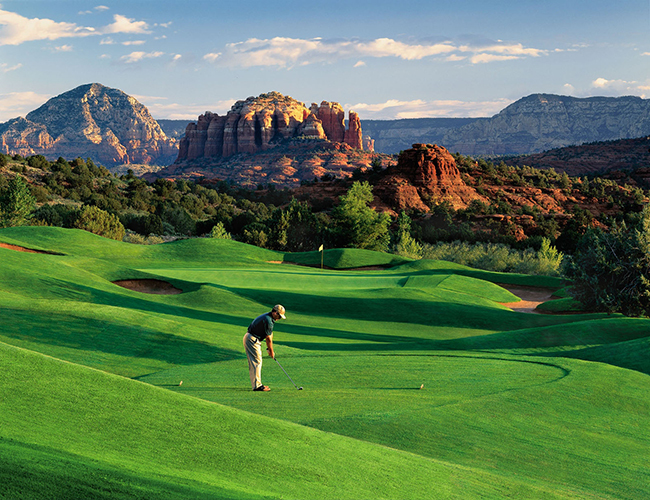 A midwinter trip to Phoenix and nearby Sedona is an easy and hassle-free way to lift your spirits. It starts with low airfare on Southwest Airlines and a flight time of just under an hour to transport you to the vistas of the high Sonoran Desert, replete with red rock buttes and saguaros that welcome you with outstretched arms. Just when I thought I’d seen it all in Phoenix, I visited two not-to-be-missed museums, discovered a new wine region, greeted the dawn with a ride in a hot air balloon and closed out the day with a sunset ride on the back of Old Paint. Or whatever his name was. 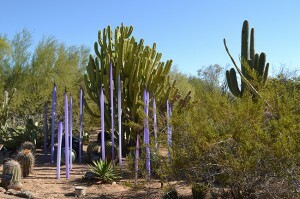 The Desert Botanical Garden hosts the world’s largest collection of desert plants. Founded in 1939, the garden’s 140 acres showcase more than 50,000 plants, carefully labeled on nine trails to help visitors understand, protect and preserve the desert’s natural beauty. Now through May 18, vibrant glass sculpture installations by renowned sculptor Dale Chihuly are set amid the garden’s cactuses and succulents. Among the 21 installations my favorite was “White Belugas” with graceful delicate sculptures that looked somewhat like misshapen white balloons set among a collection of saguaro skeletons and splintered wood. The Musical Instrument Museum (MIM) in Northern Phoenix was founded 3 ½ years ago by Robert J. Ulrich, former CEO and chairman emeritus of Target Corporation, but the public is just beginning to take note of this fabulous venue. 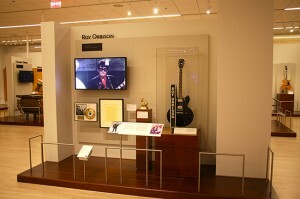 Guests are provided wireless headsets to wear throughout the museum’s 200,000 square feet of exhibit space, including halls dedicated to the musical history of five regions of the world. As guests approach each display, videos play on high-resolution flat screens, providing a sampling of the sounds of the instruments. One of my favorite venues, “The Artists’ Gallery,” is dedicated to musicians and their instruments; it was like a trip down memory lane. Here you’ll find John Lennon’s Steinway on which he composed Imagine or you can watch a video of John Denver playing This Old Guitar, with the very same guitar included in the display. You can watch as Leonard Bernstein conducts music from West Side Story. Steinway piano and Martin guitar exhibits demonstrate the steps in the manufacture of these products, with interviews of craftsmen who’ve worked for these companies over a lifetime. Plan to spend four hours at this museum and have lunch at Café Allegro. Far from a typical museum café, this venue’s stations feature expertly prepared global cuisine, local and regional dishes, grilled specialties, freshly made soups and salads, and desserts. No visit to Arizona is complete without a spa treatment or two. Eforea, the spa at Hilton Sedona Resort and Spa, was the first global spa concept for Hilton Hotels & Resorts. Today, 90 eforea spas are open or in development in the United States and seven other countries. When you book a spa treatment, all the amenities of the spa are available for free, including a full schedule of yoga, stretching and aquasize classes, so do plan to arrive early and stay much of the day. 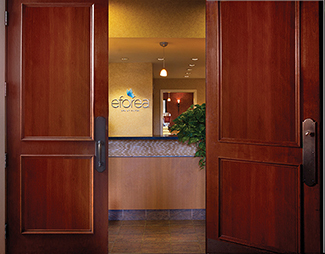 The Sedona eforea features 25,000 square feet of indoor and outdoor space including treatment rooms, fitness areas, a solarium, relaxation areas and a 25-meter heated pool, as well as gender specific steam rooms, saunas and whirlpools, At the core of eforea are organic and scientific, results-driven treatments, such as the Sedona Stone massage that I selected. As hot stones slid along my back, arms, neck and legs, they felt so smooth that I thought the therapist was simply applying warm oil; but the result was a much deeper muscle penetration than a regular massage. 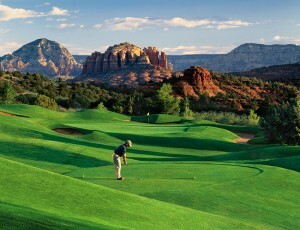 Just a few miles removed from “downtown” Sedona, Hilton Sedona is surrounded by red rocks and a championship golf course…so pretty, so peaceful. 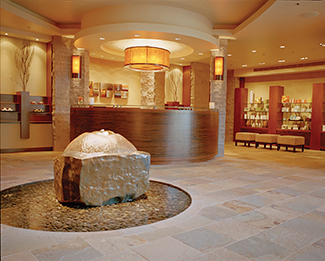 Spa Avania at the Hyatt Regency Scottsdale at Gainey Ranch embraces a holistic, total-immersion approach based on the body’s cyclical needs at key periods of the day. Guests can tailor their treatments with their choice of music and oils that invite them to “awaken” in the morning, “rejuvenate” at midday or “unwind” in the evening. With most treatments, guests receive a complimentary custom-designed bath or body product; I chose a pumpkin sugar scrub that combined pure sugar (a great exfoliant) with grapeseed oil and an essential pumpkin spice oil (a blend of pumpkin, vanilla, caramel, clove and nutmeg…yum!). Every time I use it, my relaxing Spa Avania Swedish massage experience lives on. By the way, the Scottsdale Hyatt is one of my favorite resorts (first stayed there 30 years ago, and it gets better each year). I loved the full patio off my spacious room and the Frank Lloyd Wright-inspired architecture. There’s also a 2.5-acre, newly redone pool complex; thankfully, they retained the sand beach (just to remind us Coronadans of home!). You can’t help but root for this up and coming region of four wineries and four tasting rooms along a 35-mile wine trail that includes the towns of Cottonwood, Cornville, Jerome, Clarkdale, Camp Verde and Sedona. Here, the winemakers and the community are equally enthusiastic about the possibilities of this burgeoning wine district. Even the local Yavapai Community College offers degrees in enology that go through masters programs, working in conjunction with the University of Arizona. 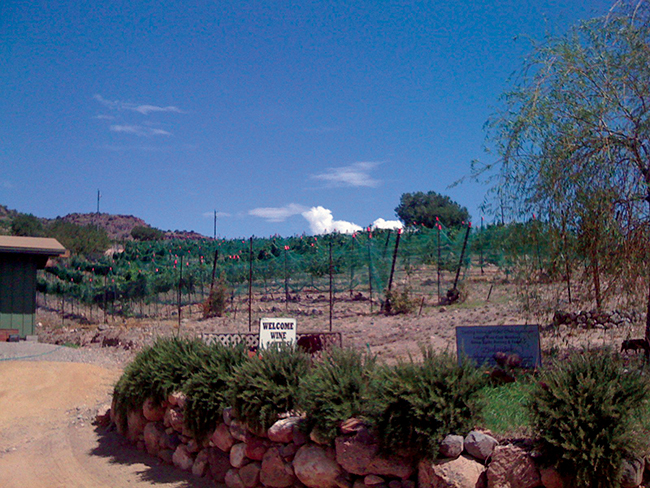 The Verde Valley’s hot days and cool nights cause the vines to put their energy into developing less abundant but higher quality, more intensely flavored fruit. The valley was originally a slate of sedimentary rock layered with volcanic intrusions adding calcium-rich marine sediment to the landscape, thereby creating a soil rich in nutrients and minerals and ideal for growing grapes. Alcantara Vineyards, the oldest and largest of the northern Arizona wineries, is located at the convergence of the Verde and Oak Creek rivers, just off Highway 260. It offers some top flights of both red and white wines. Along winding Page Springs Creek Road you’ll discover the quaint tasting rooms at Javalina Leap, Page Springs Cellars and Oak Creek wineries. 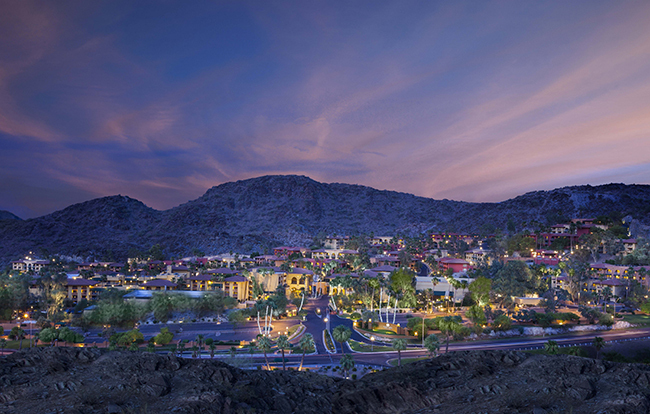 Old Town Cottonwood, with its charming shopping and antique district, restaurants and tasting rooms, was a delightful discovery, ideally situated above the heat of the desert and below the cold of Arizona’s high country. Surrounded by jagged mountains on the south and west and by mesas and buttes to the north and east, the town is named for the trees that grow along the Verde River. On my next visit to Arizona, I plan to stay in Old Town Cottonwood at The Tavern Hotel, a European-style bed and breakfast inn of 10 rooms. 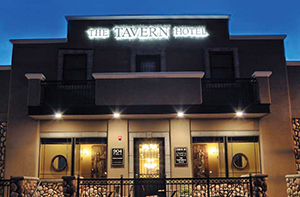 Guests check in next door at The Tavern Grille, the hottest restaurant in town, where they also receive a complimentary check-in cocktail. The hotel and tavern are owned by Eric and Michelle Jurisin, who are turning one enterprise after another into sure-fire winners (much like Coronado’s own David and Jenni Spatafore and their Blue Bridge Hospitality restaurants). Michelle Jurisin is an East Coast full-blooded Italian who grew up working in her grandfather’s deli. She moved to Arizona at age 19 and met Eric, who hails from the Lake Havasu region. In 1993, the newlyweds journeyed to Jerome where they fell in love with a 100-year-old building and established their first restaurant there: the Haunted Hamburger. Today their “Haunted Group” also encompasses Grapes in Jerome, Nic’s and Pizzeria Bocce in Cottonwood and a second Tavern Grille in Scottsdale. The food, convivial vibe and historic ambiance at The Tavern Grille make me want to explore their other haunts. 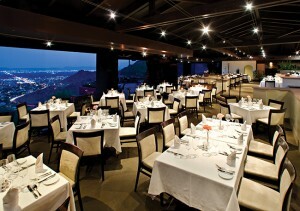 Don’t miss the opportunity to dine at A Different Pointe of View, the Four Diamond Restaurant at Pointe Hilton Tapatio Cliffs Resort, one of Phoenix’s most venerable properties that features all-suite rooms in a dramatic mountainside setting. The nightly chef specials feature seasonal cuisine, expertly and boldly prepared. 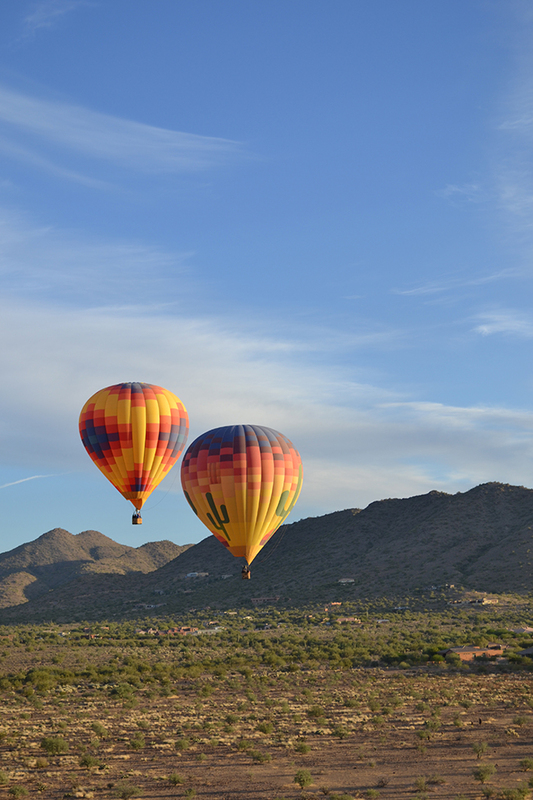 When paired with the panoramic view 1,800 feet above the valley floor, you’ll be lifted away in more ways than one. 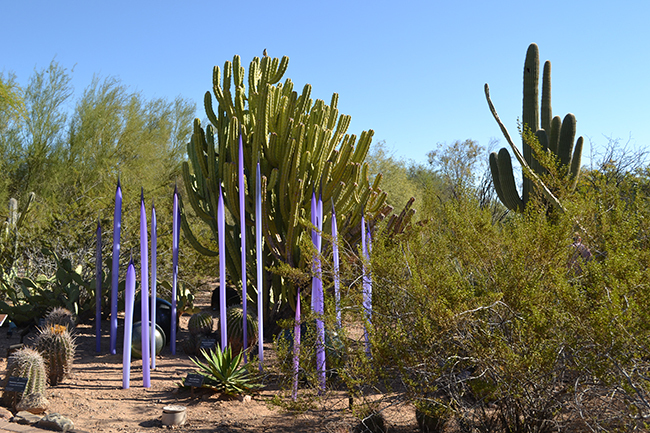 An installation of 21 Dale Chihuly glass sculptures is interspersed with desert flora now through May 18 at the Desert Botanical Garden. The 200,000-square-foot Musical Instrument Museum brings together instruments from 200 countries and territories throughout the world in a bright, open space on the Phoenix landscape. 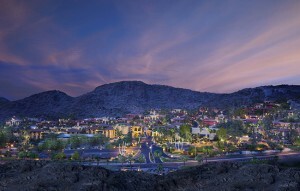 eforea, the Hilton Sedona Resort & Spa.